I've mentioned before that during school holidays my kids refuse to eat sandwiches, they love cooked lunches and dinners. Lucky for them they have a mother that loves to cook. So day one of school holidays I found this recipe online and thought I'd try it. 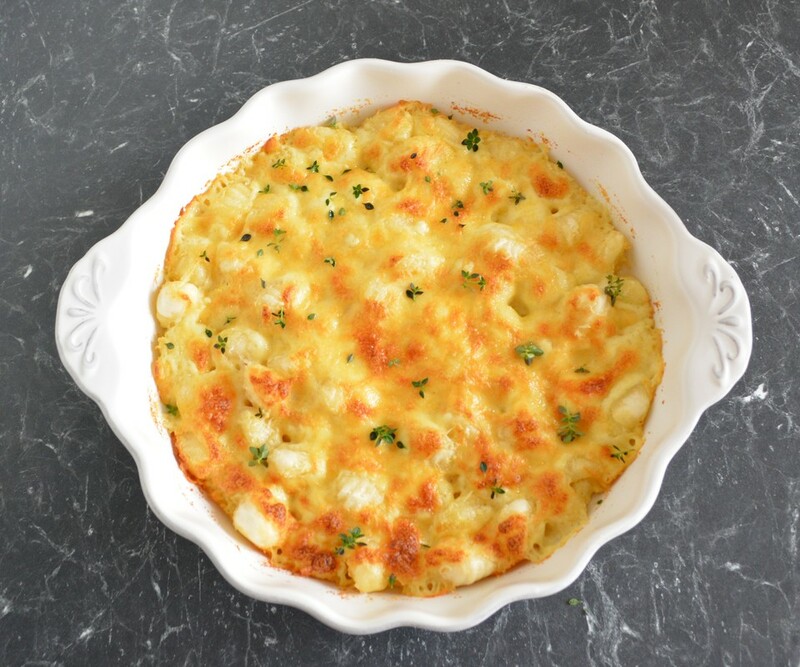 Normally I have never liked mac 'n' cheese, found it to be nothing special. And the packet version I tried once years ago and found that simply horrible. But I saw the photo yesterday of this dish (added it to favourites, my favourites is a long list of things I want to try) and thought it would taste nice. And it did. My kids love gnocchi and although I make my own, I wouldn't bother for a dish like this. This is supposed to be fast and simple. I like the Guzzi brand of gnocchi, it is my favourite of the store bought gnocchi. I forgot to buy the fontina as per original recipe, so I looked in the refrigerator and substituted in Havarti instead, it was lovely. This dish is filling, tasty and quick to make. Give it a go, it really is good. Preheat oven to 190C/170C fan forced. Prepare the gnocchi as per packet instructions. Usually it is bring a saucepan full of water to the boil, add a large pinch of salt and gnocchi. Once the gnocchi floats to the surface, they are done. Drain immediately. Grease a 1.5-2 litre baking dish with some cooking spray. Place the drained gnocchi into the baking dish, in a single layer (some of mine were on top of one another and it worked just fine). In the same saucepan you cooked the gnocchi (discard the water) add the butter and garlic, whisk for 30 seconds, add the flour and whisk a further 30 seconds to 1 minute. Add the Dijon mustard and milk, continue to whisk the mixture for 3-4 minutes or until slightly thickened. Add half of the grated Gruyere and Fontina cheeses, whisk until completely melted, then add the remaining half, again, whisk until completely melted. Season with salt and white pepper. 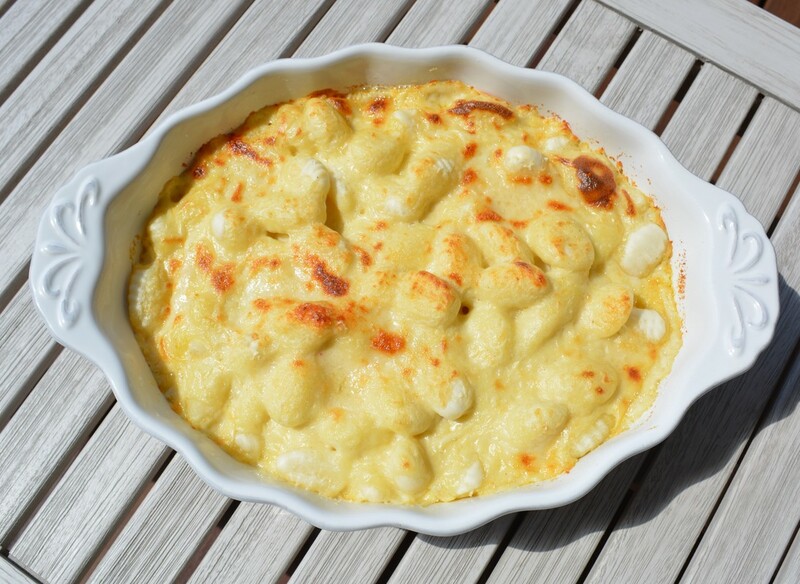 Pour the cheese sauce over the gnocchi in your baking dish, sprinkle over the grated parmesan. Bake for 25 minutes or until the gnocchi is golden brown and the gnocchi has puffed up a bit. Allow to rest for 5 minutes before serving, to ensure you don't burn your mouths with the hot cheese and the sauce has time to settle. Garnish with fresh Thyme leaves. Serve with a green salad.